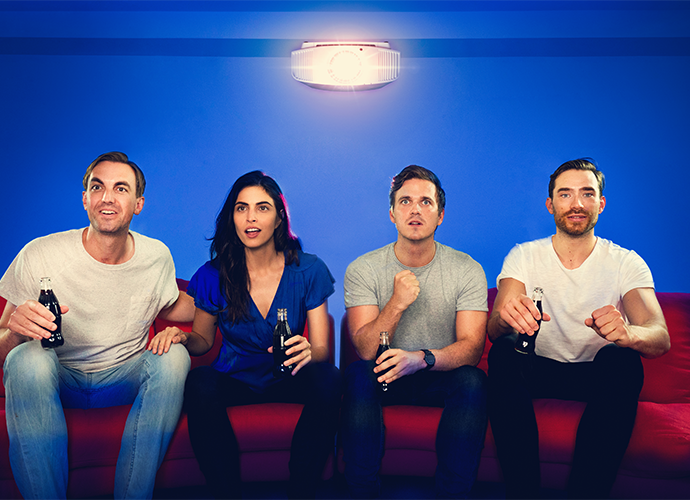 Our Home Cinema Projectors bring movies, games and more to life in any living space. 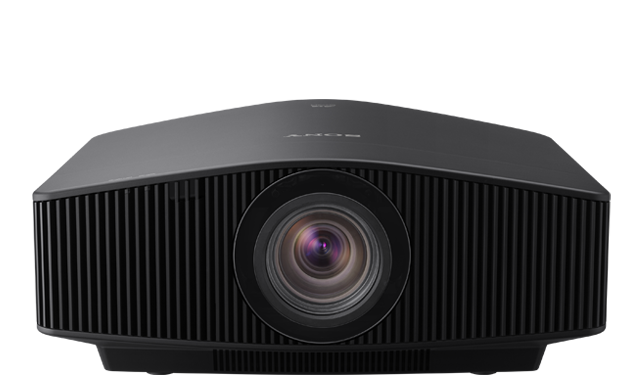 You’ll find the perfect Sony projector for large home theatres or smaller living rooms, with easy installation, sleek styling and low running costs. 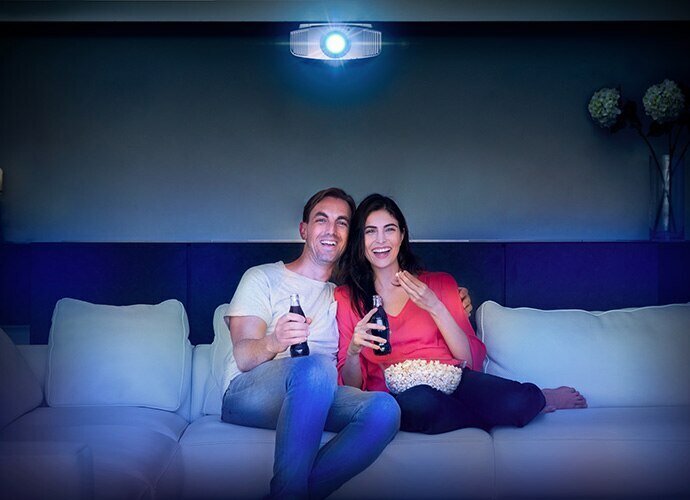 Ideal for large home theatres and brightly-lit rooms, our most advanced home cinema projectors combine a powerful, long-lasting laser light source with the same SXRD technology found in our professional cinema projectors. You’re assured crisply detailed native 4K images with four times the resolution of Full HD. Even on big screens of 150 inches and over you won’t see individual pixels – just spectacular images that pull you right into the action. And with quick on/off and no lamp swaps to worry about, there’s nothing to distract you from enjoying the show. You and your audience deserve the finest image quality. Treat everybody to the thrill of detail-packed true 4K images that capture every nuance of the director’s artistic vision. 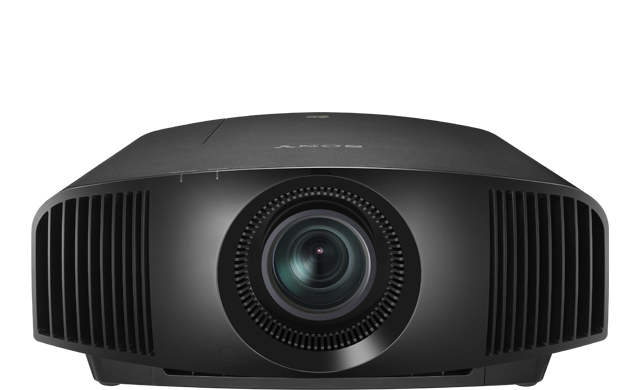 Great for screens up to 120 inches, our high-contrast projectors offer support for (HDR) High Dynamic Range. You’ll love the difference with an expanded range of brightness levels, from sparkling highlights to rich, sumptuous blacks and lowlights packed with fine shadow detail. 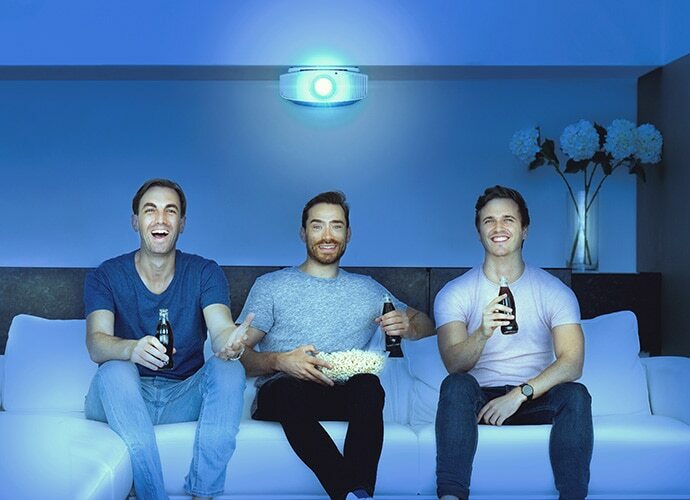 Our stylish, easy-to-install projectors take full advantage of the latest technical standards for easy connectivity and the best possible pictures. True home cinema’s right here. Ideal for smaller home theatres with a screen size up to 100 inches, our compact, beautifully styled projectors put richly cinematic images within easy reach. 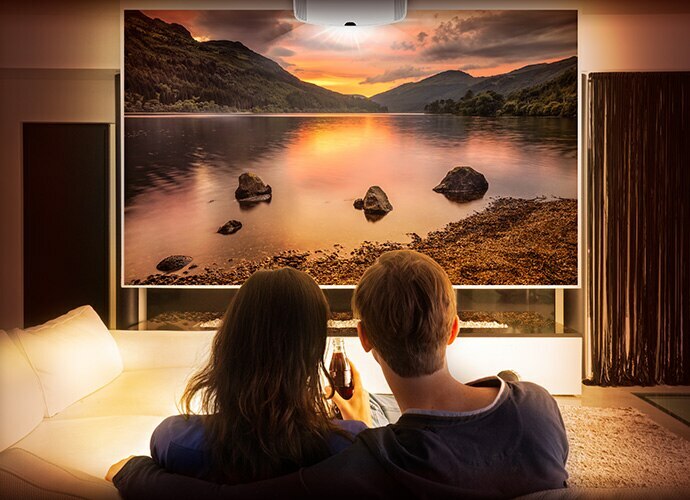 Advanced SXRD panel technology delivers fabulous Full HD images with impressive brightness and contrast ratio – so pictures always look clear and sharp, even in daylit living rooms. Set-up’s easy, and quiet fan noise won’t disturb the show. And thanks to the long-lasting lamp source you’ll enjoy fewer interruptions and lower maintenance costs. Our space-saving Ultra Short Throw home cinema projectors turn any living space into a movie theatre – without messing up your interior décor. 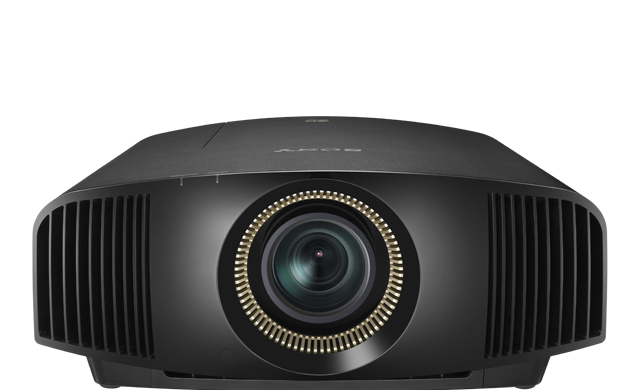 The projector sits discreetly right next to a screen or white wall, creating big, beautiful 4K images up to 100 inches across without the glare or shadows of a normal projector. And thanks to the energy efficient, long-lasting laser source you don’t have to worry about regular lamp swaps – plus the convenience of near-instant start up so nobody’s kept waiting for the show to begin.